We are very proud to announce that we will now be bringing the Jura wines of Alice Bouvot’s Domaine de l’Octavin to London. 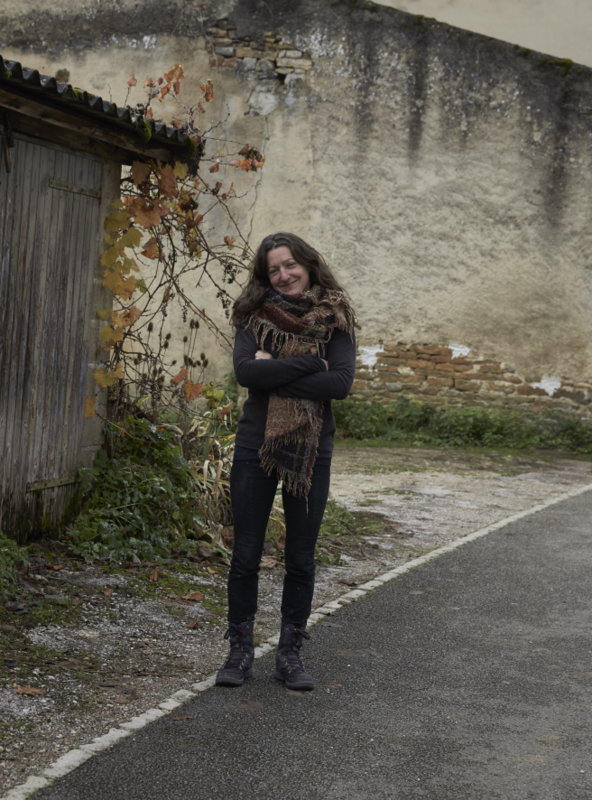 We have been fans of Alice’s work for a long time and after visiting her in Arbois earlier this year were very happy to secure a small allocation of her wonderful wines. Despite having trained in Bordeaux and Burgundy, Alice knew that when it came to start her own domaine, the Jura would be the place. In 2004 she started from scratch, buying a small cellar in the village of Arbois and a couple of hectares of vines in the hills surrounding. Alice now farms around five hectares of Chardonnay, Savagnin, Poulsard, Trousseau and Pinot Noir, with holdings in some of the region’s very best lieu-dits like La Mailloche, En Curon, Les Nouvelles & Les Corvées. Vineyard work is done by hand and is both fanatical and fantastic, with biodynamic farming used to great effect in retaining a real biodiversity in the vineyard. These are some of the more beautiful parcels we have seen. In a good year, Alice makes a dazzling number of cuvees. There is no recipe and winemaking is dynamic, with decisions being made only once the fruit has been brought to the cellar. There the grapes are wild fermented with no temperature control, though the elevage varies from parcel to parcel and vintage to vintage. It’s a refreshingly free approach that yields individual wines of real character, the common thread being a sort of boundless energy, where each wine is as nourishing, delicious and exciting as the last. From a plot of 40 year old Chardonnay vines planted in the lieu-dit “La Mailloche”. This is wild fermented in old oak and sees an 18 month elevage. A little reduced on opening, air reveals a pure, lively wine of beautiful aromatics. These are bound by the sort of cleansing, lingering acidity that remind us why we fell in love with the region in the first place. Should age wonderfully over the coming years. Also available in magnum. One of Alice’s oddball experiments and as usual, it just works! This is a blend of roughly 85% Pinot Noir and 15% Chardonnay from old vines in “Les Nouvelles”. The white and red grapes are kept in whole bunches and fermented together on the skins. Reflecting the vintage, this is light, bright and delicately perfumed. Again this is Pinot Noir and Chardonnay from old vines in “Les Nouvelles”, but here a 45:55 split. This vintage was almost the opposite of the one before it and you really feel it in the wine. This is generous and fully detailed, a wine of real charm. Also available in magnum. From the parcel ‘Les Corvées’ near Montigny-les-Arsures, the spiritual home of Trousseau where the Jurassic marls provide the perfect terroir for the grape. Here the fruit is extracted very gently, more like an infusion, producing a light yet full-flavoured wine of little red fruits and spice. Also available in magnum. Their ‘Vin Jaune’, a remarkable Savagnin aged for even years under flor in old barrels. In this vintage they decided not to submit to the authorities for official recognition and as a result this comes in a regular 750ml bottle rather than 620ml clavelin, a good thing given just how delicious a wine it is. It’s very rare to see a wine made in this style so open and detailed at such a young age and at 12.7% alcohol, it is wonderfully delicate and pure. A wine to explore over hours, days and years, with a big piece of Comté by it’s side.